Need a new cookware set?! 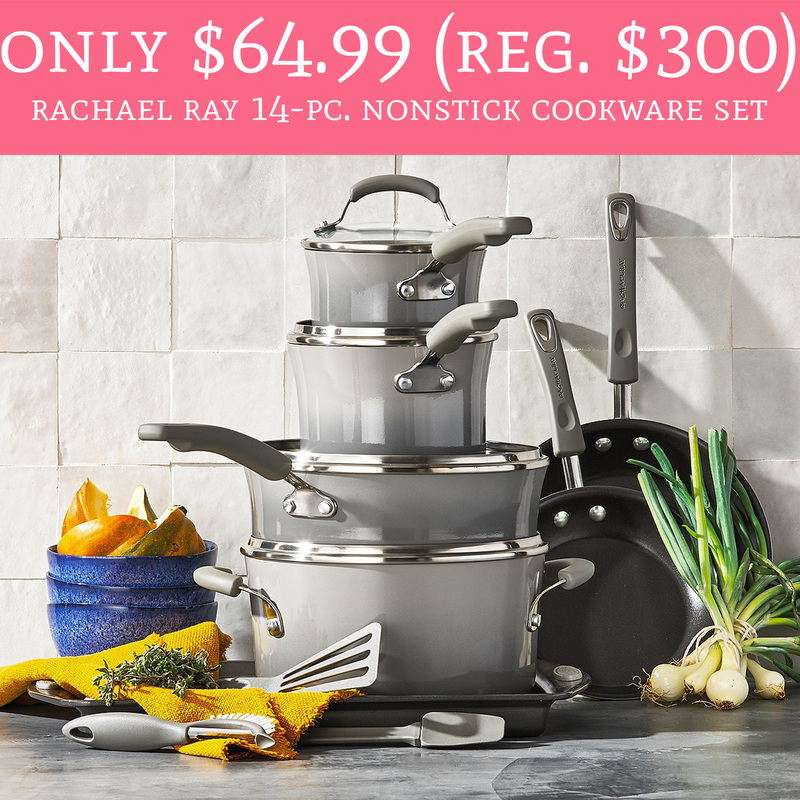 Hurry over to Macy’s.com where you can score the Rachael Ray 14 Piece Nonstick Cookware Set for just $64.99 (regular $300). The cookware set is currently priced at just $139.99 and use promo code HOME at checkout to score an additional 25% off. To make this deal even sweeter, receive a $40 mail-in-rebate. Shipping is FREE with all orders $49 or more. Order yours here!